WCRS and Leo Burnett have taken the top prizes in Ocean Outdoor's digital creative competition, in partnership with Campaign, with concepts for Sky Ocean Rescue and The British Dyslexia Association. 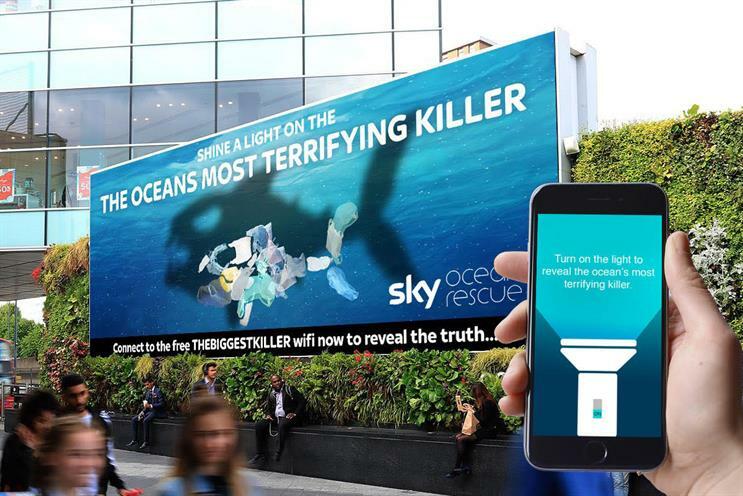 Activist brand Sky Ocean Rescue, set up by media owner Sky, scooped the Commercial prize for "The ocean’s most terrifying killer". The campaign, created by WCRS, will transform Ocean’s screens into underwater seas to illustrate the dangers to marine life of plastic waste. 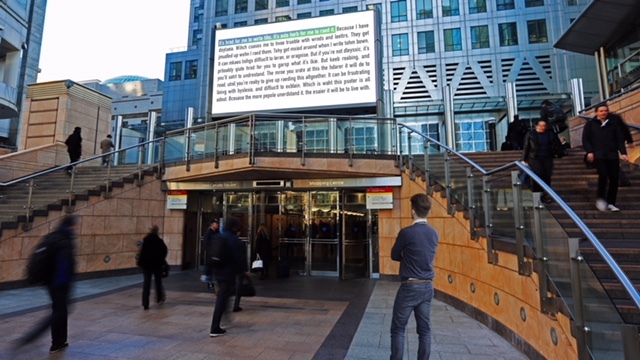 The British Dyslexia Association’s campaign, created by Leo Burnett, uses dynamic long form copy on screens with audience recognition technology to show what it’s like to live with dyslexia. The longer people stop and look at the screen, the harder the words are to read. "A moment of dyslexia" (below) took the Charity first prize. The international prize was awarded to MullenLowe London for "Let’s colour the world" for Dulux. The agency also secured both commercial and charity second prizes for Persil and the Art Fund. Ocean chief executive Tim Bleakley said the eighth competition attracted record entries and "outstanding creative ideas". "The winners are striking for the power of their visual ideas and innovative use of DOOH technology to achieve business objectives," he said. "They’ve been recognised for their immediacy, impact and relevance to their target audiences. I congratulate the winners and look forward to seeing their concepts brought to life." The record 131 entries were judged by a panel of 14 advertising industry experts. The winners were announced on 5 October before an audience of 500 guests at London’s IMAX. They share a £650,000 prize pot to fund their campaigns on Ocean’s screens in the UK and internationally over the next 12 months. See all of the 2017 winning campaigns on Ocean's website.